Hey guys! Have you missed me? I’ve been out of town. Also I plan to post a little less….maybe 3 days a week…..at least for a while. On to the topic of the day, Thrift Store Decor. 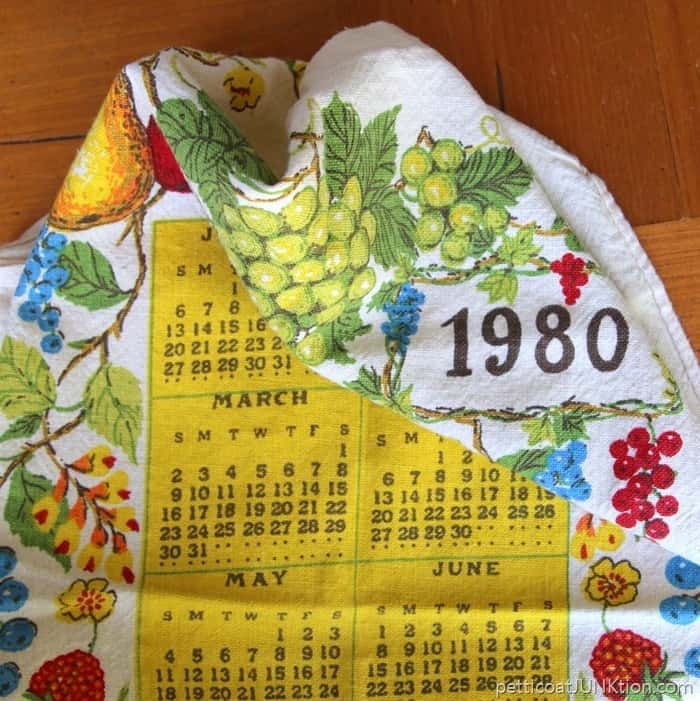 I found the vintage 1980 calendar in my stash of fabrics. I don’t remember how much I paid for it but probably $1-$2. Don’t you just love the bright colors. That’s why I bought it. All my favs in one place. 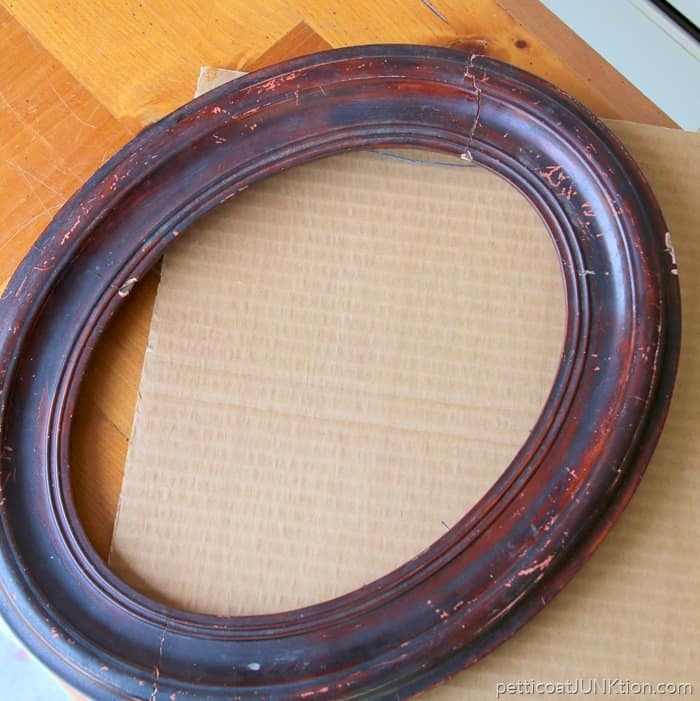 The oval frame was $5. It was a little sad looking but wait till you see what I did with it. No paint. I used a black Sharpie to cover all the scratches and I went over the black Sharpie marks with a rag to blend. Work in progress…..see the difference between the right and left sides pf the frame? 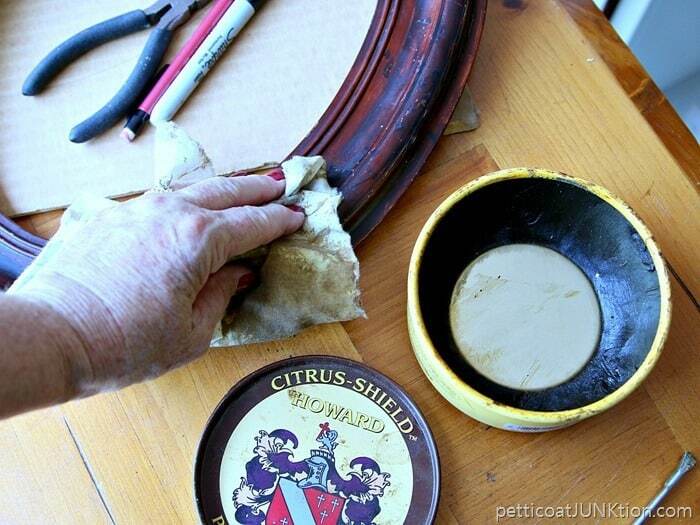 Next I applied a coat of Howard’s Paste Wax in Golden Oak to the frame. I cut a piece of heavy corrugated boxing to fit the frame opening and wrapped the calendar around it, placing the calendar off center for the perfectly imperfect look. The cardboard fit tight into the frame. 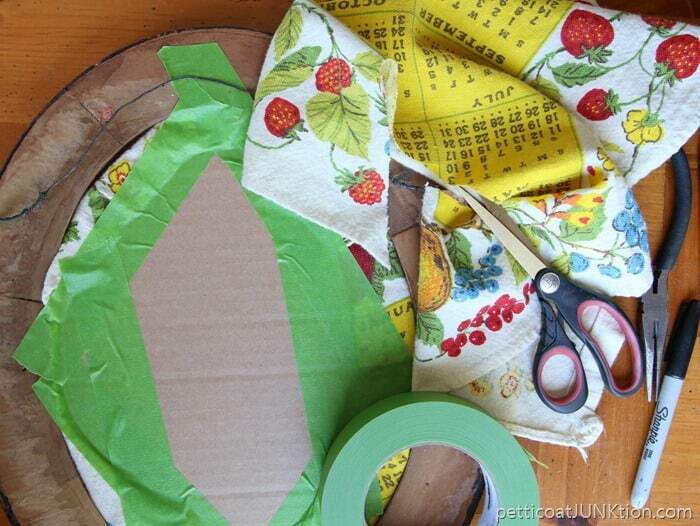 I taped the cut fabric edges to the cardboard using FrogTape. The most difficult part of the project was cutting up that beautiful calendar. 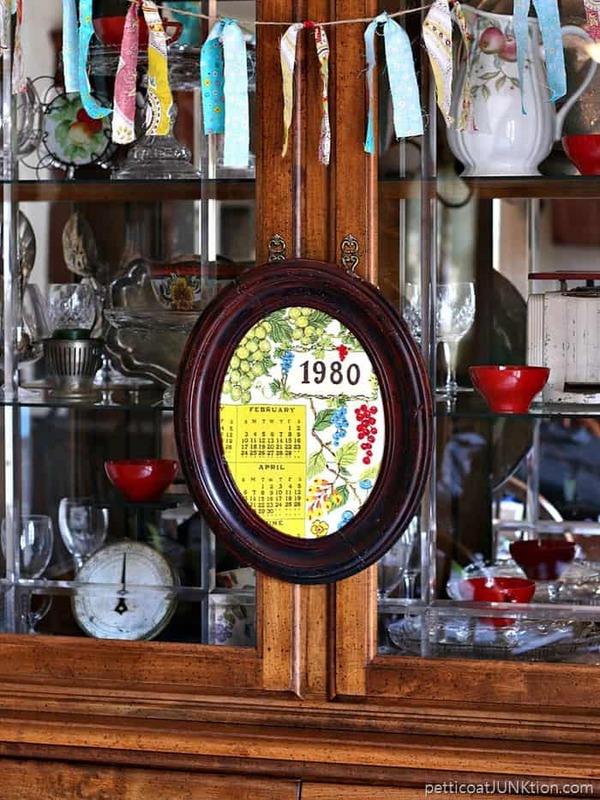 The framed calendar is hanging on the front of my china cabinet. 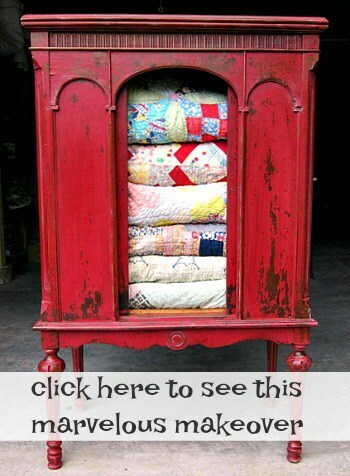 See all the beautiful red melamine cups in the cabinet? I love red. The colors of the calendar are soooo vibrant. The framed calendar makes me smile. Patting myself on the back. Having a piece of chocolate…you know the drill. The following affiliate links are for your convenience. Click here to read my full disclosure policy. Never again will I pass by things like this. I absolutely LOVE this. The colors are just perfect ! I’ve actually never seen calendar fabric, but I love this project! 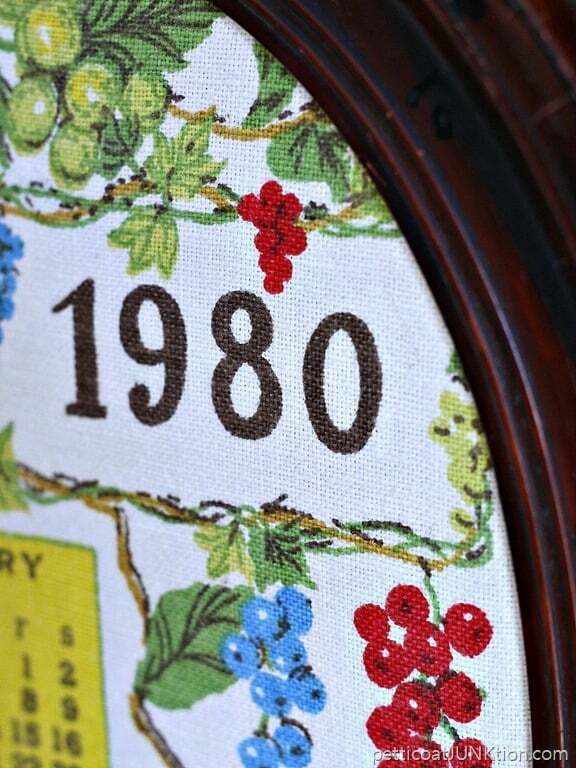 It would be so cool to find some and give it a gift with someone’s birth year! 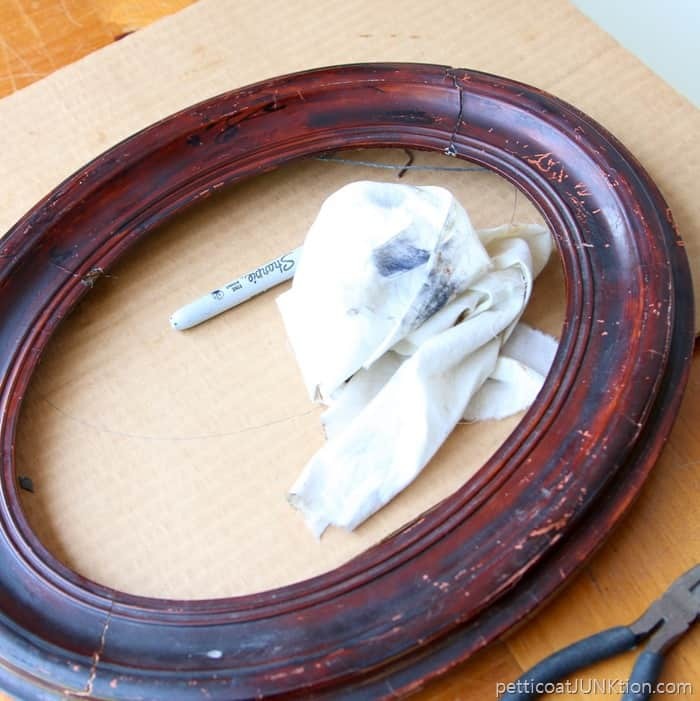 Oh, I just LOVE a good vintage oval frame- and this one is really spectacular. And those tea towel just pops against the wood. So glad you linked up to Talk of the Town! This definitely brings back memories. 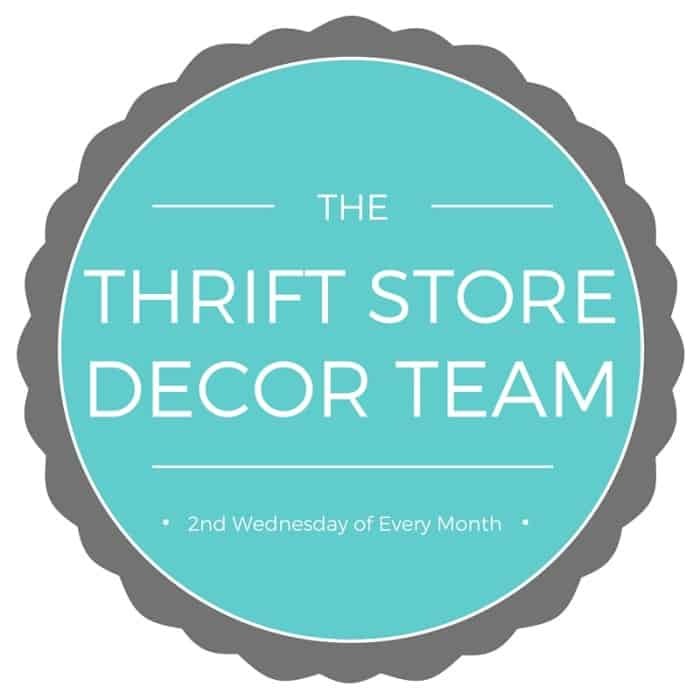 I think that is why so many of us love finding these items at thrift stores. What you did with this is beautiful! Oh does this bring back memories! Such a great idea to frame it! I remember those old calendars! 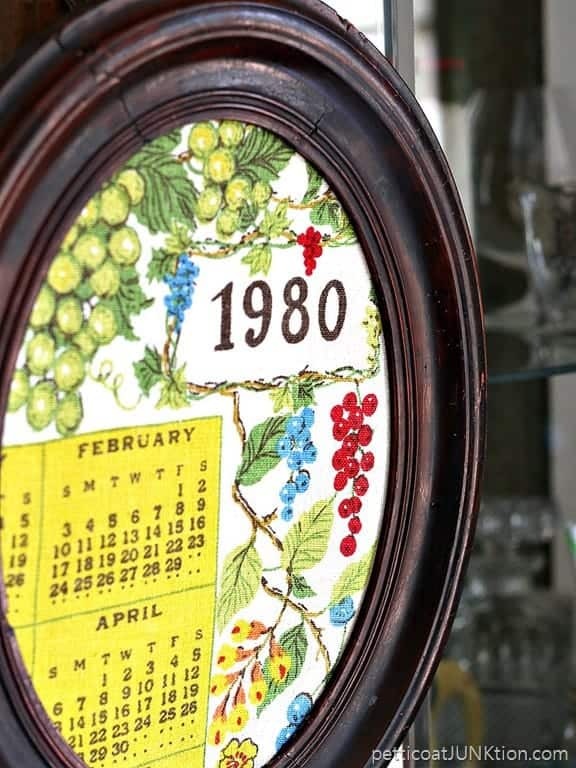 I like what you did with the frame, and that the calendar is off center. ps it was fun hanging out with you in Atlanta! 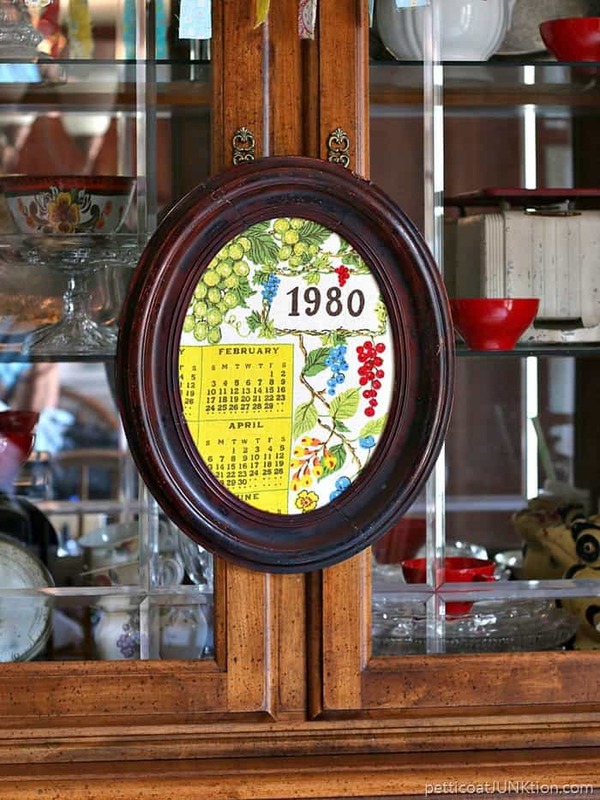 This is a great way to display an old calendar. I have a few of these that I love but couldn’t figure out how to display. Cutting the calendar to display just a part of it is a great idea. 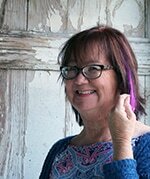 That turned out SO CUTE Kathy! Great idea! I have several calendar towels from one of my many aunts. She was the one on my Daddy’s side that taught my daughter & niece cheers. She was one of a kind. I miss her but wondered how to use the towels. They are faded now after much use. I don’t want to cut them, but you have given me an idea how to use them. Thanks for sharing. Maybe I can keep up with 3 times a week postings. That brings back memories. My mom always had those hanging fabric calendars, and when I was a little girl I sent them to my gramma out of state. Wonder if I have some tucked away somewhere because now I know what to do with them.